The DUOMAX 40 and 60-cell modules offer reliable and durable energy generation for your home or business. The heat strengthened dual-glass design enables greater reliability and durability backed by Trina Solar’s 30-year linear power warranty. With its 0.5% annual power degradation and ~25 percent greater lifetime energy production compared to standard modules, the DUOMAX offers a faster return on your initial investment. When placing a solar system on the roof of your home or business, you desire the highest quality and safety. The lamination and encapsulation of the DUOMAX module is built to resist both performance degradation and fire hazards. Its frameless design keeps the modules clean and performing efficiently. 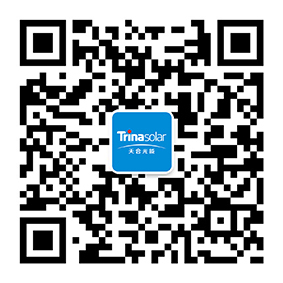 Trina Solar’s DUOMAX panels are resistant to micro-cracking, module warping, UV aging and corrosion, and go through rigorous third-party safety testing to ensure high quality. Marriott Towne Place Suites near Joint Base Andrews is often a home for military personnel on temporary assignment. Marriott decided to power this hotel with solar to be a better “home away from home” for its guests and support the military’s mission of expanding its renewable energy use. Through its partnership with Trina Solar, Marriott Towne Place Suites became the first Maryland hotel to be nearly 100 percent solar-powered.